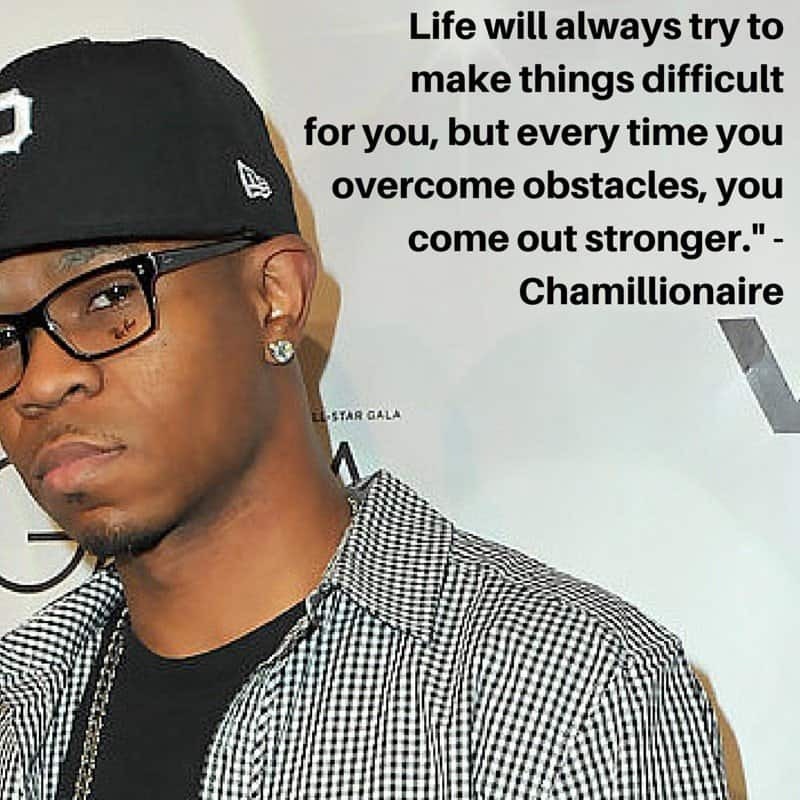 Chamillionaire is a rapper from Houston, Texas. Who blew up globally after the release of his album – Sound Of Revenge. He also broke the record for selling the most ringtones of all time in Hip Hop history. 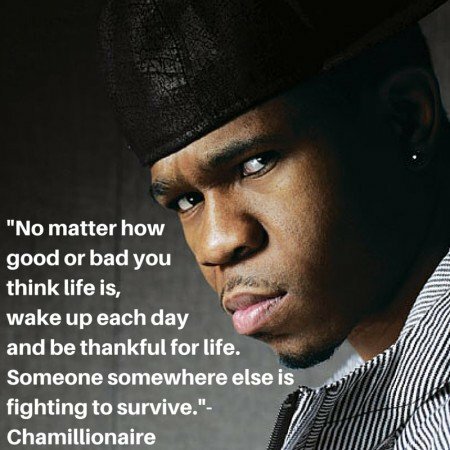 What I love about Chamillionaire’s lyrics is they’re straightforward, no BS, and relatable. 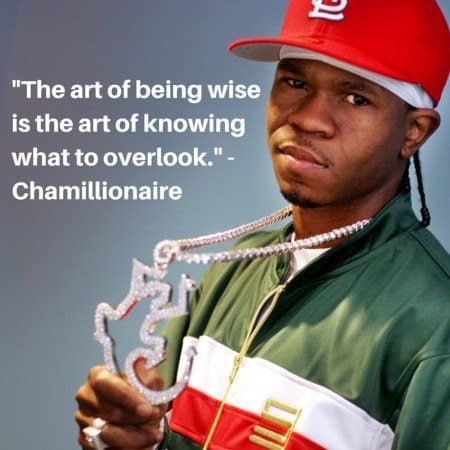 This article explains a little about some of the most inspirational Chamillionaire quotes. 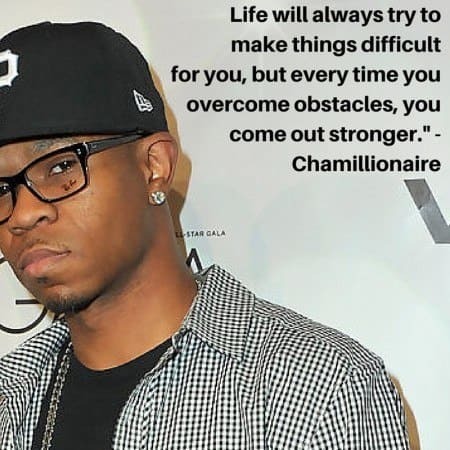 Even if you’re not a fan of Hip Hop there’s something to take from these 6 quotes I’m about to get into. And of course, be inspired by them. It’s easy to get caught up in the drama of our lives. And start blaming others for our happenings and issues. But the truth is, a lot of us have a ton of things to be thankful for. No matter how good or bad the circumstances might be. Be thankful everyday. Making time for people who could care less about you is like a loving a girlfriend who doesn’t love you back. No matter how much effort you put into it, you get nothing out of it. Time is precious, so waste it on things that matter to you. On people who matter to you. And on things that move and push you, your life and your goals forward. If a troll criticizes you online, and you get caught up in it, that would be unwise. Why? Because you’d be wasting your time, energy and effort on someone who has nothing better to do with themselves. 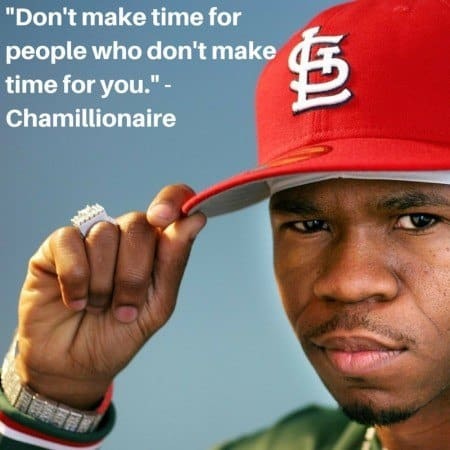 That’s the point of this Chamillionaire quote. The art of being wise is knowing what to overlook and when to overlook it. Don’t stress about the challenge or the obstacle stood in front of you. Focus on overcoming the challenge and how much stronger and wiser you’ll become as a result. The stronger you become, the easier it is to crush your obstacles. Society in general lives by a set of rules. And it’s these rules society will brainwash and mislead you with. But when it all comes down to it, your beliefs, dreams, ambitions and drive is what creates the life you want. There are many kids, teenagers, millennials and adults who are well educated. 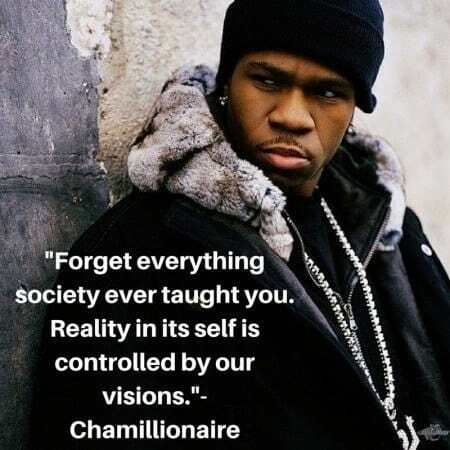 But being educated in something you have no desire or interest in is like buying an instruction manual and not using it. The knowledge is there, but it’s not being used. It’s your desire and determination to make use of it that makes all the difference. Not just the education itself. 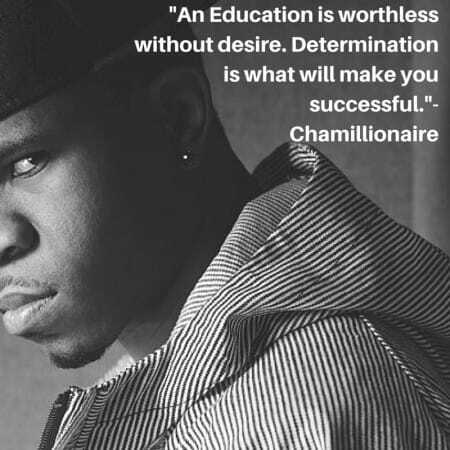 What’s your favorite Chamillionaire quote? Leave a comment below. Loved these quotes? Make sure you share this on your social networks! Learning to not make time for people who didn’t make time for me was a major curve I had to go through. It’s a self esteem and respect thing. You’ve got to hold yourself to that respect. Exactly, Stephen. We meet again 🙂 Time is so valuable and if you don’t treat your own time right, you’ll only hurt yourself in the long run.